Under the Sun of Satan - Blu-ray Review - ReDVDit! Recently, I reviewed the first volume of films by Maurice Pialat, which was a collection of three deliberately dense, introspective looks at how humans blunder about hurting others and seeking self-fulfillment. 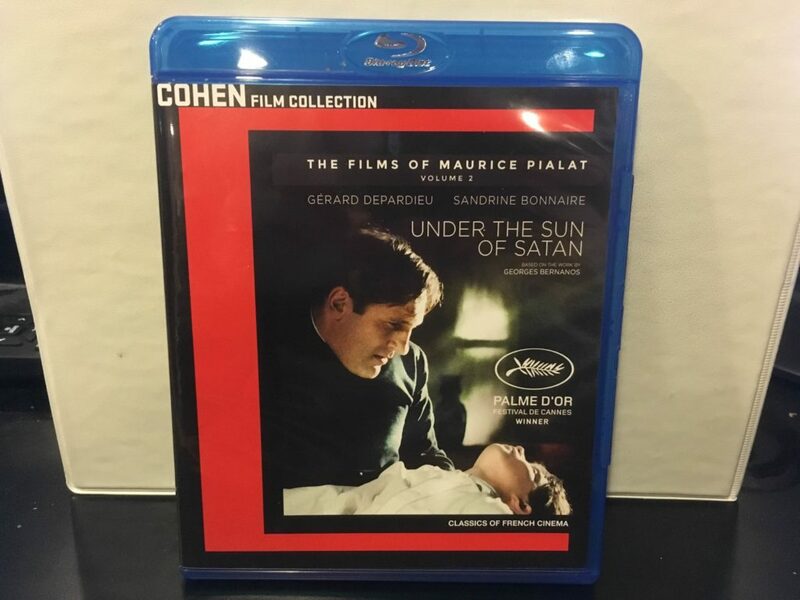 Continuing that trend, Cohen Media Group has released The Films of Maurice Pialat Volume 2: Under the Sun of Satan, this time a standalone film. 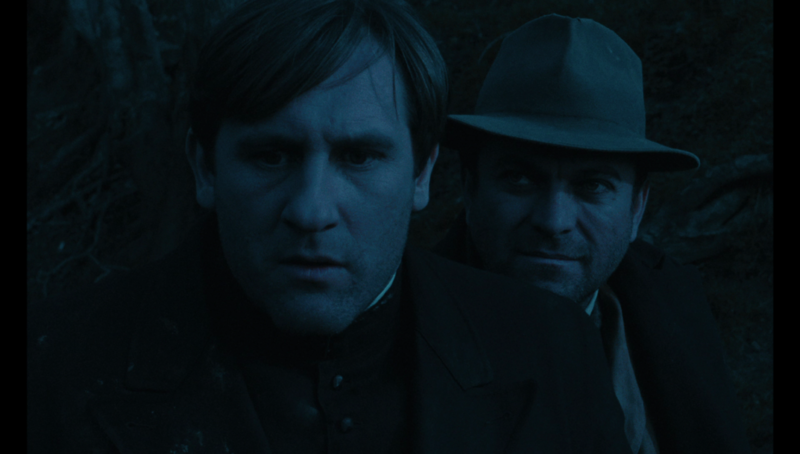 Similar to the first three films made available by Cohen, Under the Sun of Satan is an agonizingly paced film, one which explores how poorly we handle life, and how desperate we are to escape death, through the lens of a poor priest. 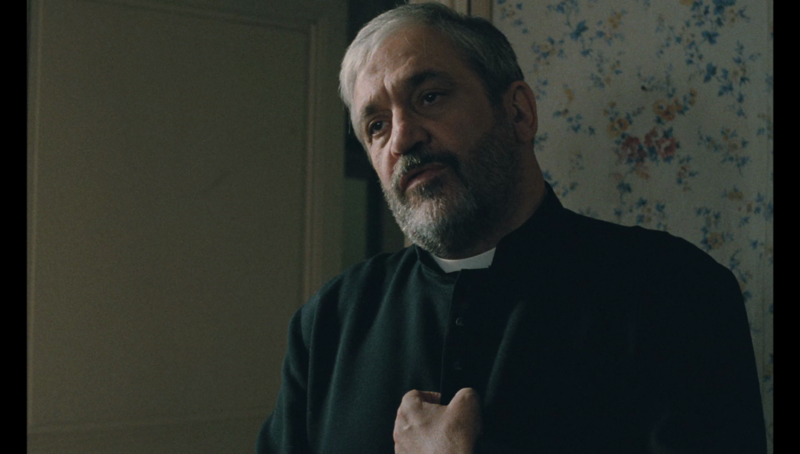 The story follows a young Catholic priest, Father Donissan, who suffers a crisis of identity shortly after being placed in his first parish. His overseer, Father Menou-Segrais, exclaims that he may have made a mistake entering the priesthood, and the he must take time to reflect on his choices, and evaluate what path he must take. 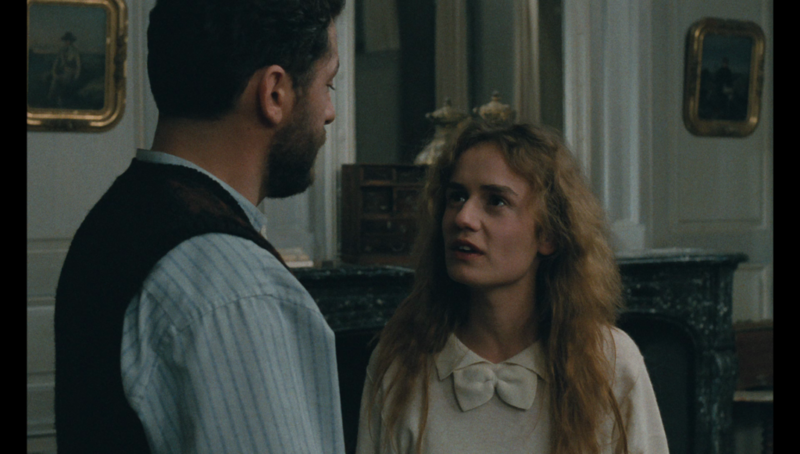 On his journey, he runs into a young girl, Mouchette, and sees into her soul through the lens of god, and attempts to rationalize with her about her decision to commit a grave sin. When faced with her death, he makes a rash, uncomfortable decision, which leads him into a bout of controversy as he becomes a pseudo-messiah to the people of his town. In telling such a spiritual story, Pialat takes a surprisingly secular angle when telling his story. His vision of the Catholic Church through Father Donissan is unforgiving and repressive, condemning any sort of outlandish expressions of faith. Characters that are associated with the church are often cold and unfeeling, choosing to ignore the problems that they are faced with, especially in the face of death. They reject the whims of the people of the town featured prominently in the film, forcing the people in an act of desperation to hunt down Donissan. It paints the film as unfeeling and almost overwhelmingly cynical – continuing the themes that Pialat has chosen to highlight throughout his career. It examines once again, a person who, when faced with the consequences of their actions, chooses to impose them upon others selfishly, leading to disaster. 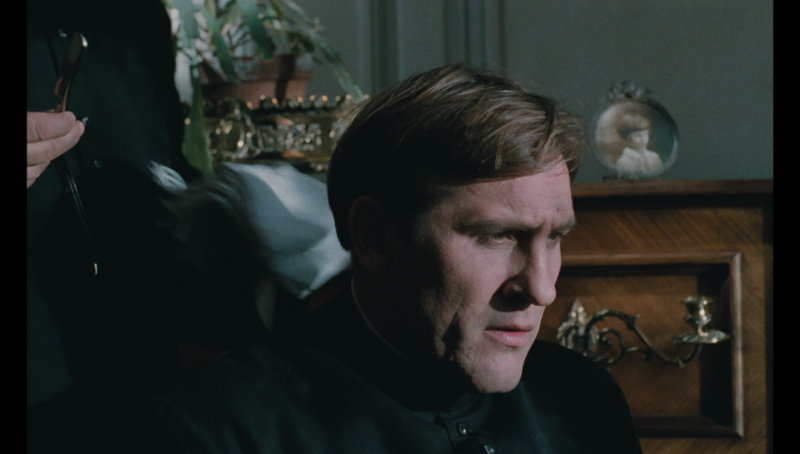 Even our lead man Father Donissan, played by French actor Gerad Depardieu, who also stared in one of Pialat’s previous films, Loulou, comes off as a hopeless man, riddled with self-confidence issues. Under the Sun of Satan, much like previous Pialat films The Mouth Agape and Loulou, both featured in Volume One of The Films of Maurice Pialat, focuses on the worst aspects of humans, primarily when they are faced with tragedy and depression. There is little optimism to be found here, exchanging happiness for an overwhelmingly unpleasant examination of people under duress. It is filled with typical Pialat-isms, such as uncomfortably long takes, and a lack of non-digetic sound in Pialat’s fierce push for realism in his films. The film is thought provoking at times, but difficult to sit through. I’m rating the film a 2.5, but my thoughts really hover between a 2.5 and a 3. It’s a difficult one to comfortably settle on a rating for. Shot on 4-perf 35mm film using spherical lenses, Under the Sun of Satan was presented theatrically using the 1.66:1 European Flat Standard aspect ratio. This Blu-ray presents the film in 1080p, maintaining the 1.66:1 aspect ratio with slight black bars on the left and right sides of the image. Once again, Pialat’s film is shot using a fairly conventional style, with muted colors and camerawork that attempt to present the film as close to reality as is possible. As a result, the film’s presentation in 1080p is fairly unremarkable. Shot in the late 80s, the film features a grain layer that is moderate in intensity, and fairly clean looking. 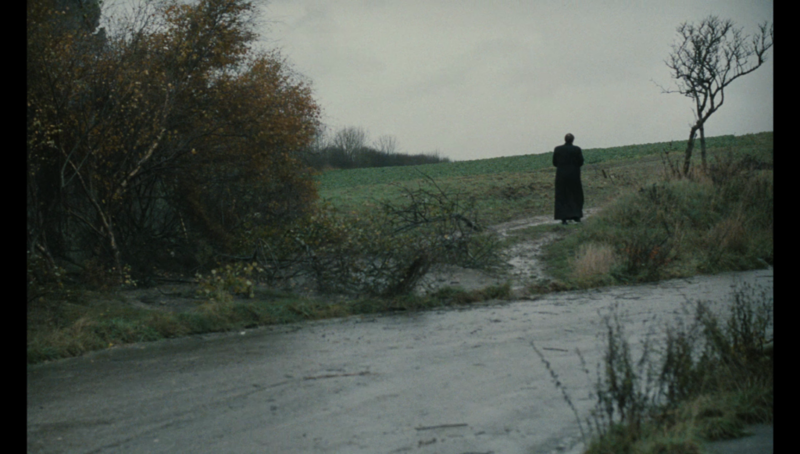 Detail is minimal, as the image is moderately soft outside of the few closeups that are utilized throughout the film. Under the Sun of Satan looks clean, but is fairly unremarkable in 1080p. Under the Sun of Satan is presented on Blu-ray with a 2.0 LPCM Mono soundtrack. Much like the visual presentation of the film, the mono sound design is fairly conventional. Dialogue never gets muddled under any miscellaneous sound effects, but that’s because there isn’t really any to be heard. There is no established musical score or anything fancy. Pialat really strives for realism in his films, and his lack of sound effects or score of any substantial kind is effective, but it makes for a bland home video experience. The mono track is clean, but unambitious. 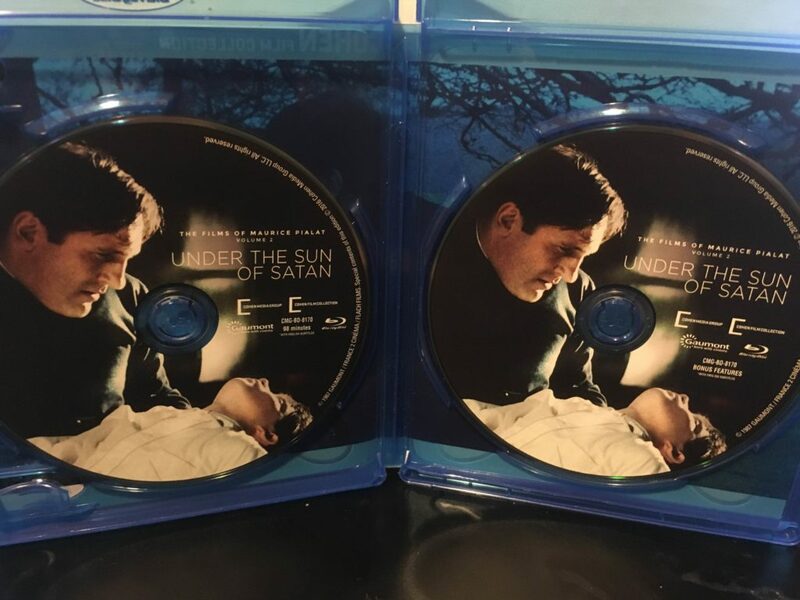 Under the Sun of Satan, released to Blu-ray by Cohen Media Group as part of their Cohen Film Collection is presented in a standard keep-case. The front artwork features a frame pulled from the film, with accompanying text, and the traditional black and red Cohen border. 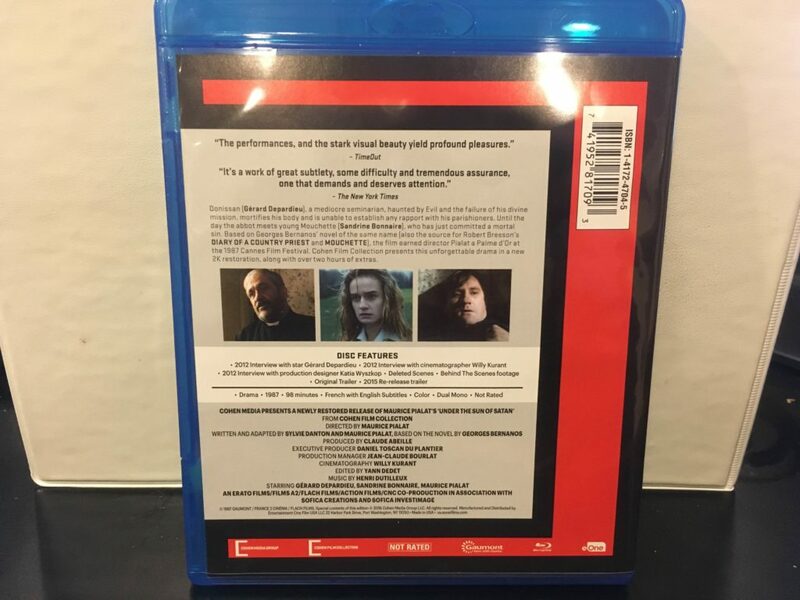 The back artwork features head shots of the three main characters, as well as a dense collection of features, credits for the release, a paragraph about the film, and some critic quotes. On the inside, we have a full color booklet with pictures from the film with full credits, and the film, which is presented on one disc, with another disc for special features. Behind that, we have reversible artwork featuring an important moment from the film. Par for the course for your typical Cohen release. Interview with Star Gerard Depardieu – an 11 minute long interview conducted with the star of Under the Sun of Satan, in which he discusses his relationship with director Pialat, and working on the film. Interview with Cinematographer Willy Kurant – an older interview with the film’s cinematographer, with a newer introduction by Katia Wyszkop to lead into the interview. Interview with Production Designer Katia Wyszkop – a half hour interview with the film’s production designer, in which she discusses how this was the first film she’d worked on professionally, and her experience working with Pialat. Deleted Scenes – an hour long features, in which large lengths of footage cut from the film are screened, each one introduced by the post production team of editors that worked on the film. Incredibly comprehensive, especially if you felt you needed more from this film. Original Trailer – the film’s theatrical release trailer from 1987. 2015 Re-release Trailer – a modern trailer, produced for Cohen’s theatrical re-release of the film from last year. Under the Sun of Satan has excellent packaging, if not traditional packing for a Cohen release, but has a large amount of comprehensive special features that are sure to delight fans of the film. Under the Sun of Satan is a dense, slow, unpleasant movie that challenges us to face the shortcomings in society that aren’t typically covered by traditional Hollywood film making. Unfortunately, that makes for a pretty rough viewing experience, and feels somewhat like a chore at times. Winner of the 1987 Palme D’or Award at the Cannes Film Festival, the film is meticulously crafted to present an ultra-realistic depiction of the world that at times is engaging, but it is definitely not for everyone. The film’s Blu-ray presentation features a competent but unimpressive audio and video presentation, but has excellent packaging and a decent set of features.